The 149 year old Prohibition Party, America's oldest third party, is holding their 2020 Presidential and Vice Presidential nomination convention on November 13th via conference call. The only known candidate with their hat in the ring for the party's Presidential nomination is 2016 Vice Presidential candidate and the party Secretary Bill Bayes. Party leaders will be sending out the draft party platform to members in late October which they will be voting on at the convention also. The Prohibition Party has 2 members running for Office this year. Jonathon Makeley is running for the assembly seat in the 146th district of the New York Assembly. Phil Collins is running as the Republican candidate for Treasurer of Clark County Nevada. The following was originally published in GD's Political Animal. September 11, 2018 - "Instead of GOP candidate Mike DeWine, a northwest Ohio political action committee is advising conservative voters to support the Libertarian running for governor or no candidate at all for the state’s top office. The following was originally published in the San Francisco Chronicle. SANTA FE, N.M. (AP) — The New Mexico Supreme Court on Wednesday blocked a ballot option that would have allowed voters to select candidates from a particular party in all races by marking a single box, bolstering the retreat of straight-party voting options nationwide. In a unanimous decision, the court found that Secretary of State Maggie Toulouse Oliver — an elected Democrat — did not have authority to reinstate straight-ticket voting after it was dropped from statewide ballots by a Republican predecessor in 2011. The court sided with critics who argued that it was up to the Legislature to make a determination on straight-ticket voting. The practice in New Mexico dates back at least a century, but Chief Justice Judith Nakamura noted that lawmakers have waivered repeatedly in recent years on whether to clearly prohibit or authorize it. The following interview with SWP candidate Elliott Pritt was originally published on the Socialist Workers Party Website. Q: WHAT INSPIRED you to take the step to run for office as an open revolutionary socialist? A: I WAS raised in a very conservative household. 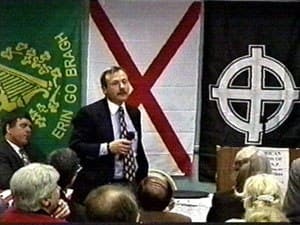 It was church three days a week, and my dad was really active in our local county Republican Party. He was good friends with Tom Fast, one of the Republican incumbents I am running against now, and I remember going door-to-door as a kid for Tom’s campaigns. The following was originally published in the Herald-Tribune. The CCC had become infamous after media scrutiny of the organization and its links to elected officials. Years after that RNC warning, Peter Gemma’s name popped up in association with the CCC. Gemma — a Sarasota resident whose involvement in local politics has stirred controversy in recent weeks — wrote an article that ran in a CCC newsletter in 2005. At the end of the article, Gemma was listed as the president of the organization’s chapter in the Washington, D.C., area. It’s not Gemma’s only link to individuals and groups who have come under scrutiny for alleged racism and other extreme views. COLUMBUS, OH (WCMH) - After four years of being left off the ballot as an official party, the State of Ohio has declared the Libertarian Party an official party again in June. The Libertarian Party is now officially recognized as a minor political party by the State of Ohio, and voters will be seeing Libertarian candidates on the ballot this November, including gubernatorial candidate Travis Irvine. Irvine sat down with NBC4’s Mike Jackson to talk about why voters should listen to his party’s message and how he thinks he has the best chance at uniting voters. Irvine is specifically targeting voters who supported Dennis Kucinich in the Democratic primary and Mary Taylor in the Republican primary. The second half of this New Mexico Politico article says that sources close to the New Mexico Secretary of State say she plans to revoke the Libertarian Party’s status as a party entitled to its own primary. The Utah Debate Commission is a consortium of academic and media organizations. Starting in 2014, it has sponsored debates for statewide office and congress. It has generally excluded any candidates except Republican and Democratic nominees, by requiring a showing of 10% in polls before letting a candidate debate. But it has agreed to include Eric Eliason, the nominee of the United Utah Party, in its U.S. House debate, First District. That debate will be October 17. On September 6, an Atlanta Journal-Constitution poll was released for the Georgia gubernatorial race. It suggests that no one will get a majority, because there are three candidates on the ballot, and each major party nominee is at 45%. If no one gets a majority, Georgia will hold a run-off afterwards. Thanks to Political Wire for the link. On September 6, a New York poll was released that listed every candidate for Governor. It was taken August 29-30 and is based on responses from 2,783 voters. It suggests that both the Serve America Movement and the Libertarian Party will poll at least 50,000 votes, which would cause them to become qualified parties. Thanks to Frank Morano for the link. The poll was conducted by Liberty Opinion Research. 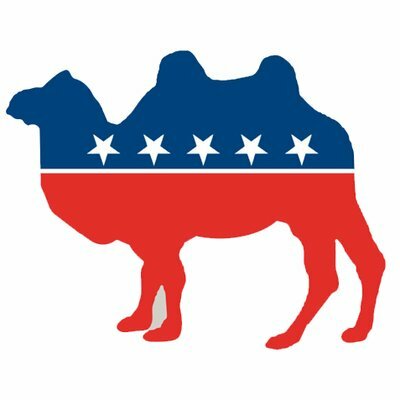 UtahPolicy.com has released a poll for the U.S. Senate race in Utah. The poll included all candidates listed on the ballot. See it here. Thanks to Political Wire for the link. The Socialist Party has placed a candidate for State Senate on the Maine ballot. 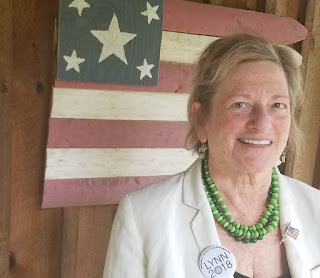 She is Maia Dendinger, running in the 5th district, around Orono. 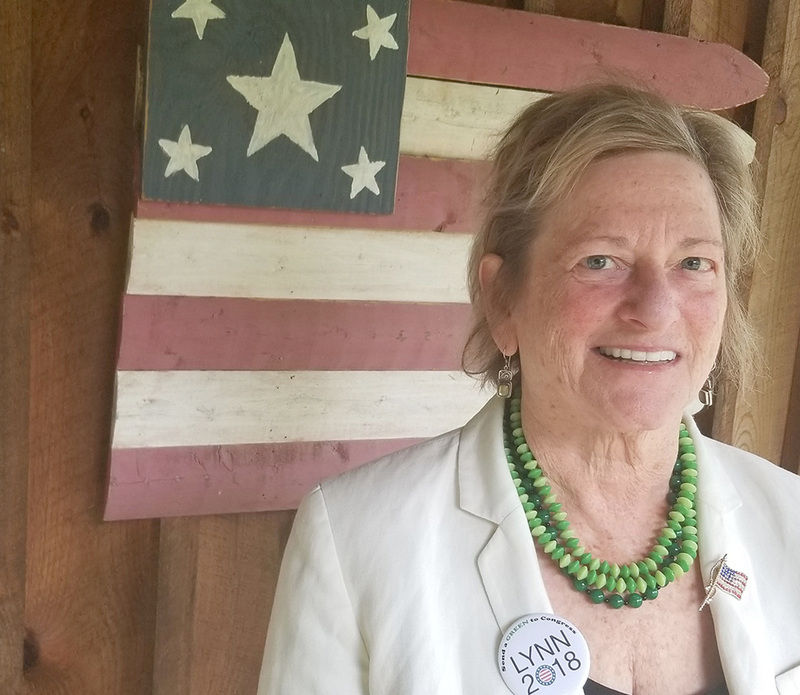 She is the first Socialist Party nominee on the ballot in Maine since 1952, when the Socialist Party’s presidential candidate, Darlington Hoopes, was on the Maine ballot. The Socialist Party should not be confused with the Socialist Equality Party, which had a nominee for Maine State Senate on the ballot in 2006. On September 5, the Nevada Secretary of State posted the August 31, 2018 voter registration data. For the first time, the Nevada Libertarian Party registration exceeds 1% of the state total. This means the party remains on the ballot, whether it passes the vote test or not. In practice, though, the party always easily passes the 1% vote test, so the practical significance is relatively small. Here is a link to the tally. The Independent American Party, the Nevada affiliate of the Constitution Party, has been above 1% of the registration for many decades. Nevada posts totals for active voters and inactive voters. BAN’s practice in reporting registration data has always been to acknowledge only active voter data. On September 4, the North Dakota recount for the June primary, for Secretary of State, was completed. Roland Riemers had sought the recount because the law required him to poll 300 votes, and the original count showed him with only 247. The recount only netted him one more vote. See this story. Riemers asked the state to also include votes for him, for voters who voted for him and no one else for Secretary of State, but who also cast votes in the Democratic or Republican primaries for other offices. This is physically possible because the three party primary ballots are all on the same piece of paper. But the state refused to count those votes. The Connecticut Secretary of State has determined that the Libertarian statewide petition has enough valid signatures. Although the party was automatically on already for U.S. Senate, it wasn’t for any of the state statewide offices, and they needed a petition of 7,500 signatures. This will be the first time the Libertarian Party has been on for Governor of Connecticut since 1998. If any of the statewide candidates get as much as 1% in November, then the party will be on for that same office in 2022. Each office has its own 1% vote test. JF: Dr. Kahn, you worked for approximately 32 years inside of the federal government as an organizational psychologist. How has that background helped to shape your view of government, your vision for government, and impacted your decision to run for public office? LK: My experience inside government started consulting to new executives then designing and facilitating teambuilding off-sites then supporting culture change efforts introducing customer service standards to an entire agency where no such standards had existed before. I transferred to the FAA (Federal Aviation Administration) in 1992, then represented the FAA on the White House Partnership to Reinvent Government where I gained the widest possible view of how agencies interact. I helped build partnerships across agencies and across levels of government and with community-based and non-profit organizations all the while learning how to address inter-agency challenges such as communication, coordination and performance measures. When I returned to the FAA in November 2000, I provided consultation to the executives writing the strategic plan to modernize our airspace system (including changing from ground-based radar to satellite based navigation and communication). The inter-agency executive team leading this transformation included executives from the seven agencies that fly in our airspace system, while other policy boards were established to gain input from airlines, manufacturers, airports and other air travel stakeholders. To develop the plans and roadmaps to modernize air transportation, we invented new terms for such complicated planning such as solution sets and points of delivery. When driving solutions to complicated problems, the goal is to create an enterprise architecture which allows coordination across multiple levels of activity. Eventually, I took that model for strategic planning and applied it to criminal justice reform – essentially a focus on clear, relatively short and yet comprehensive strategic planning. So, that background shaped my view of government as an interacting living system, where coordinated efforts can deliver extraordinary results. My vision is an America that works for everyone with no one left out; my vision of government is a high-performing network of teams and partnerships that delivers better results for more people. I chose to run for office as I saw the anger, pain and needs of far too many Americans, while seeing what I calculated to be one trillion dollars of waste and believing that I understand the mechanics of government well enough to facilitate powerful change and extraordinary results. JF: In addition to 32 years as an organization psychologist for the federal government, you served 6 years on the White House Partnership for Reinventing Government and wrote 2 books on government reform. Clearly you have a unique perspective on the role and the function of government, could you speak to that for a moment? Describe your view of how the US Government should operate? Correction: 6½ years on Reinvention was during my 32 years inside the federal government. LK: The key to effective government in our constitutional republic is to focus and coordinate efforts on measurable outcomes. Problems are connected and so are solutions, so the shape of government in the 21st century must be networks of partnerships all focused on improving results in a specific domain. That means addressing our hardest challenges --from poverty to mass incarceration to easier access to quality healthcare – will require coordination across agencies with direct input from communities impacted by policy. JF: Earlier this month you released your 5 Demands for the 2018 Farm Bill. Could you tell us a little bit more about these 5 points, the importance of the 5 points, and why this issue is important for the 21st district of New York? LK: Family farms and dairy farms in particular are embedded in the history and culture of the founding of our nation. I have met New York dairy farmers whose families have owned their land for decades, some for hundreds of years and one upstate NY farming family that received their land grant in 1785! Now, dairy farming in America including New York state is under attack. Federal policy has set the price of milk BELOW the cost of production for most of the last few decades and for seven of the last eight years. The cost of production is now $21.39 Cwt (hundredweight) while the New York State pay price was about $15.50 for August-produced milk. Other assessments charged to the dairy farmer include transportation fees AFTER the milk leaves the farm hauled by the processor. At the end of the month, dairy farmers can receive as little as $6.85 per hundredweight of milk, a price so far below their costs of production that bankruptcies loom large. I have called for emergency relief, including setting the price of milk at $20 per hundred pounds and an emergency, temporary halt to state taxes and fees. I have also called for legislative hearings first to understand how and why and who benefits when milk is priced below the cost of production and then to discuss supply management and what that might look like in the United States. A second set of hearings would look at predatory lending in rural communities, how nut beverages have come to be called “milk” and what goes into anti-dairy and anti-milk advertising. I believe big money, big government, international agriculture and international banking are destroying family-owned farms and especially dairy farms. More than that. We all eat. As more and more family-owned dairy farms go bankrupt, we lose local control of our food supply. This is a crisis for farming and agriculture, and also an ethical, legal, healthcare and constitutional crisis. Rural America has gotten the short end of the financial stick for decades and I call for funding for rural infrastructure and creative solutions to the bureaucratic barriers so we can put New York products in New York schools and businesses. JF: Following the release of your 5 demands for the 2018 Farm Bill, you actually got some praise from Congresswoman Stefanik's spokesperson who said, " "Unlike big-government Democrat Tedra Cobb, who knows nothing about the Farm Bill, Dr. Kahn joins Elise Stefanik in recognizing that agriculture is the backbone of the North Country." What is it that you and Congresswoman Stefanik realize that about farming that Tedra Cobb doesn't? LK: I don’t know what Tedra Cobb knows about farming. I didn’t respond to the negative comment by Stefanik’s spokesperson. JF: While Congresswoman Stefanik is drawing comparisons between herself and you on farming, you've actually pushed back on that idea. You've said, and I'm quoting here, " I don't think Elise Stefanik has done enough on anything. She got into politics doing staff work, and she still sees her role as doing staff work. She might help a few veterans or a few farmers find their way through the bureaucracy, but she is not asking the big enough questions, like why are we doing this? Why are we driving family farms out of business? " What are you willing to do for farmers, in Congress, that Congresswoman Stefanik isn't? LK: I call for a fair price for farm milk and legislative hearings on milk prices, supply management and predatory lending in rural communities. Big money does not want these hearings. I don’t believe corporate-funded Republicans or Democrats can solve these problems on their own – the Green Party does not accept donations from PACs, lobbyists or corporations. Only an independent or third party politician can honestly demand investigations into these issues. JF: Dr. Kahn, in addition to writing 2 books on government reform, you wrote one on peacemaking. The idea of peacemaking is a part of you campaign message and a big plank within the Green Party platform. Could you outline your vision of what American foreign policy should look like? What "peacemaking" would look like? LK: I have written several articles recently about this, so I’m quoting myself mostly here. And thanks for the question. In my first book, Peacemaking: A Systems Approach to Conflict Management (1988), I defined this theory of peacemaking: People joined together in face-to-face dialog generate a field of energy with patterns of balance and rhythms of harmony across multiple levels of awareness. I believe in the power of face-to-face dialogue and that has driven much of my beliefs and policies about defining foreign policy in the context of peacebuilding. I do now make this distinction: Peacebuilding is active. Calling for peace talks or a ceasefire, convening a meeting between enemies, or publishing a statement or framework for halting hostilities are all activities of peacebuilding. Peacemaking is psychological; it is internal. Peacemaking is a personal transformation, a change of heart or new awareness that only emerges in dialogue. Peacemaking implies psychological growth. We must be strong to build peace. I want the strongest, best-trained and best-equipped military on the planet. I also want strength at home – a united America with a government that works for everyone. Right now about 9% of Americans trust Congress to do what is right for America. We must transform government so the results delivered once again earn the respect of the American people. The purpose of our military is to protect the homeland. The purpose of American foreign policy is to build peace. The purpose of the US Department of State is to build peace, support peace talks and ceasefires around the world, and work with groups in conflict to look deeply and solve the problems of broken government and warring factions that drive most conflict. Building peace does not mean being stupid. No one can sweet-talk a bully; no one can negotiate with violent psychopaths; they must be defeated. Yet, peacebuilders are working to resolve these conflicts across many tracks of diplomacy. We must support that work. Smart foreign policy requires true partnerships and different points of view. In 2003, we invaded Iraq, choosing sides in a religious war going on for more than 1000 years. Eight weeks after the invasion we fired 85,000 teachers, nurses, doctors, accountants and engineers. One week after that, we disbanded the entire Iraqi army, sending 700K Iraqi men home angry, humiliated, with their weapons and chain of command. This political decision was made against the advice of our military and diplomats; almost all of the leaders of ISIS are former Iraqi officers. We must make wiser decisions and stop wars that only seek to build an American empire and steal oil and other natural resources. Washington D.C. must tilt toward peacebuilding. We cannot build peace around the world unless we are the same time building peace here at home! The new Congress must model how to work together to create better outcomes for Americans. Finally, I have called for a Global Ceasefire on the campaign trail – and will have more to say in a press event in a few weeks. JF: Before becoming a Green Party candidate for the United States Congress, you ran for president in 2016 as an Independent. How did it come about that you joined the Green Party? I know that in 2016 you became friends with Sedinam Kinamo Christin Moyowasifza Curry who was seeking the Green Party's nomination, did that affect your decision to "Go Green" at all? LK: I met Sedinam and other Greens on the campaign trail and in independent Presidential debates and forums. I chose to run as a Green. I talked to many small parties in NY and chose the Greens because I supported and believed in their values, especially the 4 pillars; ecological wisdom, grassroots democracy, social justice and peacebuilding. JF: It was recently announced that you will be included in 3 televised debates between Congresswoman Stefanik and Tedra Cobb. These televised debates will no doubt give you your largest platform to get your message out to voters in the 21st district. How are you planning to differentiate yourself from the other 2 candidates? LK: I have far and away the most experience driving solutions to complex problems. I will put out ideas and policies that solve problems, educate listeners and voters about how to transform government, and take positions that Rs and Ds cannot because they take corporate donations and pay too much attention to too many lobbyists. So I am the only way that can talk about a Global Ceasefire, universal health care as a national security requirement, or transforming family law.